Initially I stuck with a EVGA 1060 GTX SSC 6GB because I heard the 2600k would be bottlenecked with a 1070 or 1080, but seeing more YouTube videos where this isn’t the case. So I wanted to see from all you with 2600k systems. What is your rig setup and performance? 70-95 FPS on full ultra, 80-120 low with terrain and another on Ultra. Is it worth for me to use the EVGA step up program to get a 1070 or 1080 while on 2600k? Do I need to overclock to 4.6-4.8Ghz? I plan on upgrading to 144hz monitor shortly so I’m looking to get the most or of the current rig. Any other advice on performance boost is helpful. My RAM recommends 1.5v 1600hz, so shouldn’t need to overclock that further even though motherboard can take it. small differences with old bios screenshot and current setting. In CPU settings, I use CPU Voltage -> Manual -> CPU Voltage Manual -> Auto. I let machine do voltages. I use EPU setting -> Max Power Saving mode. But I have disable all CPU C states. I disabled iGPU, this is first version of Intel Processor Graphic Display. Useless thing. Thanks for the feedback. What ingame graphic settings did you use there, Ultra? I was wondering why your FPS was around 100 but only 70% GPU usage. On all Ultra with my 1060 and uncapping my FPS, it’ll do 95-100% usage yo pull off the 70-95 FPS. I have capped to max fps 100. Ultra settings, DirectX 11, 1920x1080. I have old monitor 1920x1080 @ 60Hz. 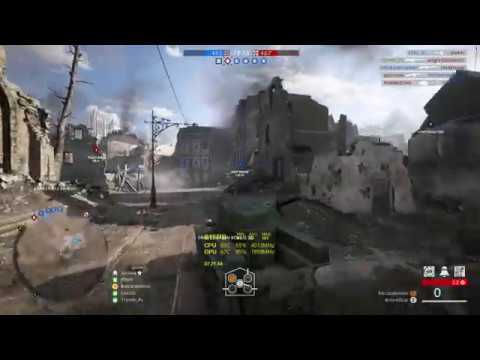 I can run Battlefield 1 game in solid 60 fps in 64 players server, but above that it's hard to keep fps steady. And seems in this game, to more fps you gain, more your CPU usage is. BF1 game is just too heavy for my CPU. I only see reason for 144Hz monitor if you play cs:go or overwatch in 1080 resolution. But you can always change Hz in monitor.